Owning a conservatory is great, but you need to make sure you care for your furniture properly. That way, it will remain a nice place to relax for a long time to come. Here we take a look at some ways in which you can take care of the furniture in your conservatory. One of the best things about having a conservatory is that it means you can enjoy more sunshine whilst still relaxing in the comfort of your home. The problem is it is this sunshine that can actually damage your furniture over time. One thing you can do is to fit blinds to your conservatory. This not only offer protection from the sun whenever you are not in the conservatory, it also gives you a bit of extra privacy. Another thing you can do is to make sure you move your furniture around from time to time. This includes turning your cushions over, so that they don’t just get faded on one side. When cleaning the cane framework of your furniture, it is okay just to wipe it with a damp cloth. You can also use furniture polish from time to time, but stay away from harsh cleaners that damage it by bleaching it or removing the varnish. You will also want to keep your cushions clean, and the best way to do this is by dry cleaning. You can either have the whole cushion cleaned, or if you have removable cushion covers you can just get the covers dry cleaned. 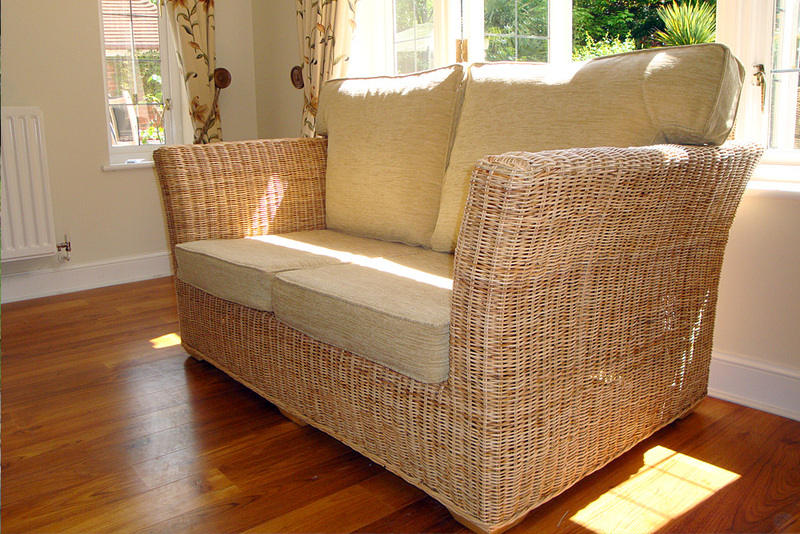 Although rattan conservatory furniture is pretty solid, you still need to be careful whenever you move your furniture. This means lifting it rather than dragging it. If you drag it, you may put unnecessary stress on the legs or joints, causing the cane to split. Please note though, even though this type of furniture tends to be quite light, you still need to be careful when lifting it. Make sure you bend your knees rather than your back.